The Supreme Court [in Writ Petition (Civil) 161 of 2004] has said that a button should be provided on voting machines for a voter to reject all candidates contesting an election in his or her constituency. In a landmark verdict, the Apex Court said that for a vibrant democracy the voter has the right to negative voting. None of the Above (NOTA) in EVMs and ballot papers. 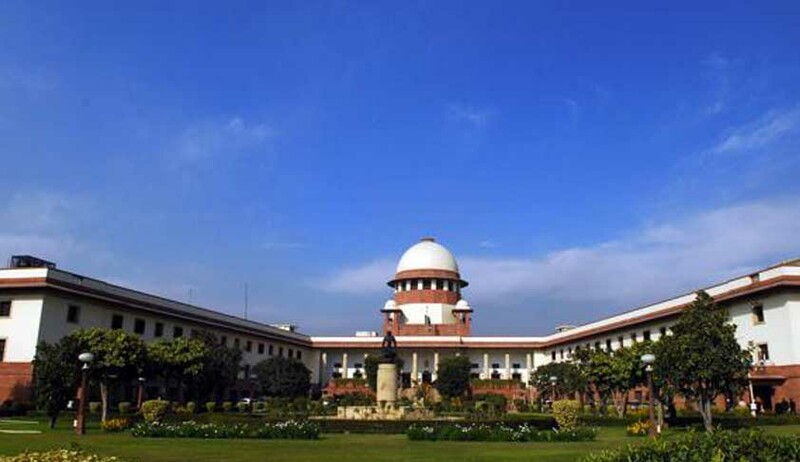 Bench of Chief Justice P Sathasivam, Justice Ranjana Prakash Desai and Justice Ranjan Gogoi ruled that negative voting would gradually lead to systemic changes as political parties will have to respect the will of the people in selecting their candidates. The judgment was pronounced by Chief Justice Sathasivam. The Bench held that Rules 41(2) & (3) and 49-O of the Conduct of Election Rules are ultra vires Section 128 of the RP Act and of Article 19(1)(a) of the Constitution to the extent they violate secrecy of voting. The Election Commission has been directed to introduce a button providing for NOTA in the EVMs and in the ballot papers. The Central Government has been asked to provide all assistance to the EC in the same. The Bench observed that the concept of negative voting is prevalent in 13 countries and that democracy is all about choice and significance of right of citizens to cast negative voting. It did not, however, throw light on a situation in which the votes cast under no option head out numbered the votes got by the candidates. In 2004, the People's Union for Civil Liberties (PUCL) had moved the Apex Court with a plea that voters should have a right to negative vote. It had sought directions to Election Commission (EC) to make provision in the EVMs providing option "None of the Above" and the right to say NOTA should be kept secret. The Apex court Bench of Justice B N Agrawal (since retired) and Justice G S Singhvi had in 2009 referred the matter to a larger bench and framed questions for the court to examine viz., "whether the right of voter to exercise his choice for the candidate is a necessary concomitant of the voter's freedom of expression guaranteed under Article 19(1)(a) of the Constitution".